I read The Girl With All the Gifts and thought it was wonderful – maybe one of the best books I read in 2014. When I saw Fellside, I couldn’t wait to get my hands on it. Setting – Being in a women’s prison gives so many potential roads for this book to take and includes gangs, cliques, drama, corrupt authority figures – along with some supernatural happenings. Mystery – Did Jess really start the fire or didn’t she? If she didn’t, who did? Characters – Some gritty, downright unlikable and despicable characters provide some dark, disturbing moments in this story. Around the end of the book, Jess does something that came as a shock and upset me, but I understood her reasons after I thought about it. Ending – Although I’ve seen some reviews where readers were displeased with the ending, I found it to be bittersweet and satisfying, all things considered. Pacing – I found my mind wandering every so often. This is a hefty book at nearly 500 pages and seemed to contain some subplots (one in particular) that weren’t very relevant, but I have to say that once I reached the 80% mark, I couldn’t put it down. Characters – Being a women’s prison, there are a lot of them, not a bad thing, but some aren’t as distinctive and blur together. I also had difficulty connecting with Jess at times. Expectations – This is all on me. I was expecting more supernatural/horror, but this is more of a thriller with a supernatural twist. Admittedly, this twist is unlike anything I’ve read before. 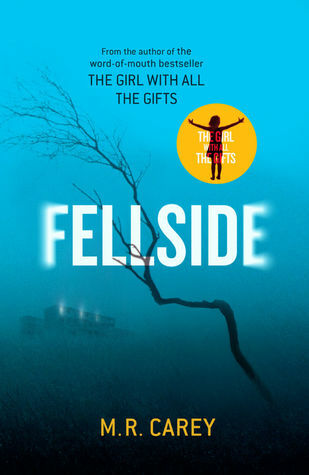 Although I enjoyed The Girl With All the Gifts more, Fellside tells a dark, multi-layered story that will stick with you for quite a while. Thanks to NetGalley for a digital ARC in exchange for an honest review.